Plain or with veggies, omelets are really easy to knock together and really satisfying. 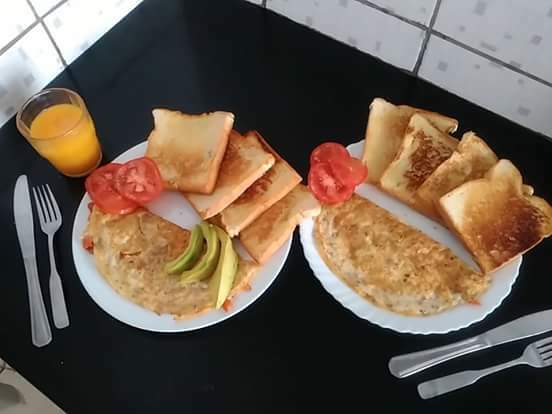 One omelet will serve one person and, because it is so quick to make, it's not worth cooking a large one for two. So, according to how hungry you are, use 2-3 large eggs per person. For omelets, the fresher the eggs the better, but up to two weeks old is fine. Just break the eggs carefully into a bowl and season with salt and freshly milled pepper. Blend the egg yolks and whites with a large fork – the number one rule is not to over-mix – no beating or whisking. 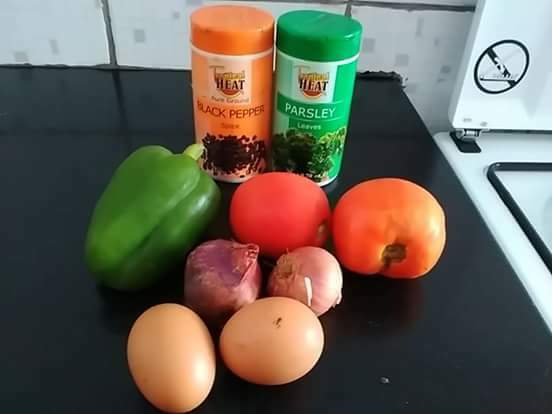 The size of the pan is vital: too small and the omelet will be thick, spongy and difficult to fold, too large and the eggs will spread out like a thin pancake and become dry and tough. Crack the eggs into a bowl and beat with a fork until smooth. Stir in the cold diced butter. Heat a heavy non-stick frying pan over high heat and add the oil. When the oil is smoking hot, pour the eggs quickly into the pan. Using a wooden fork or a spatula and working in a circular motion, move the eggs in the pan around, while at the same time moving the pan back and forth across the heat. Allow the eggs to start coagulating. Stop moving the pan. Allow the eggs to form a light skin, and then remove the pan from the heat. Pick up the pan and tilt the handle upwards and away from you. At the same time, tap the handle of the pan so that the omelet moves toward the opposite end of the pan. Take fried onions and tomatoes and place on one side of the egg. Fold the egg into two, ensure you turn the egg for both sides to cook. Using the side of a fork, fold the omelet in towards the middle on both sides to form a cigar shape. Tip the omelet onto a plate. Serve immediately.